Bethany Knoll coming this summer to Portland! Own a Riverside Home in the coveted Bethany neighborhood! 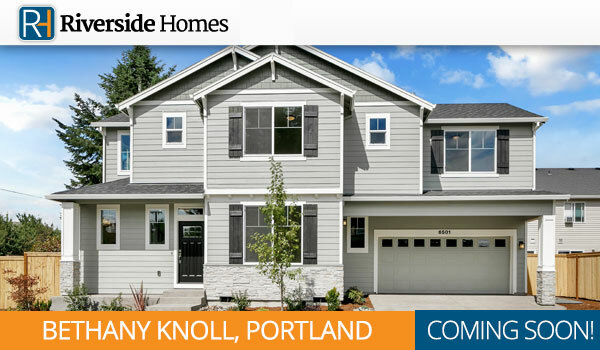 Bethany Knoll features 8 new homes in NW Portland from the $500s. Homes will range from 2,000 to 2,100 square feet. Bethany is recognized for its new and top rated schools, beautiful neighborhoods and natural scenery. These homes are sure to sell fast! Join the Bethany Knoll interest list to be among the first notified of sales releases.